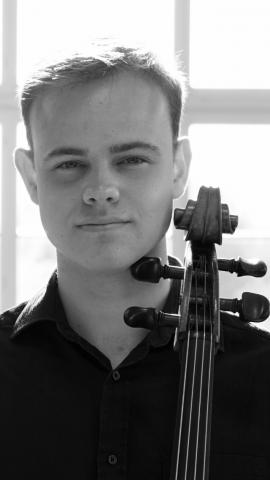 I am a cellist living in London and currently studying at The Guildhall School of Music and Drama. I graduated from the Yehudi Menuhin School in 2014, after gaining a vast amount of performing experience in prestigious European venues. I range from working with young beginners to more advance students who are passionate about wanting to improve their skill level. After a brief amount of time working with a student, I am able to tailor a clear plan of exercises and methods which when applied, will help the individual progress the best. When necessary, I am able to properly prepare a student for an exam or audition, in order to achieve the best results that they are capable of. My true aim is to invoke a genuine sense of inspiration, which I have found is the most successful way of developing a student's talent.